New Jersey Business Attorney - New Jersey Corporate Litigation Attorneys - Sherman, Silverstein, Kohl, Rose & Podolsky, P.A. Contact New Jersey Corporate Litigation Attorneys Sherman, Silverstein, Kohl, Rose & Podolsky, P.A. Welcome to Sherman, Silverstein, Kohl, Rose & Podolsky, P.A. For more than 40 years, Sherman, Silverstein, Kohl, Rose & Podolsky, P.A. 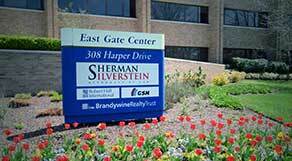 (“Sherman Silverstein”) has provided businesses and individuals in Southern New Jersey and the surrounding region with unparalleled legal representation in transactional and litigation matters. With core industry strengths in business counseling for entrepreneurial and closely-held businesses, banking, health care and more than a dozen substantive practice areas built for corporate clients and individuals, Sherman Silverstein is the smart choice for those seeking talented and experienced New Jersey business attorneys operating in a firm that avoids costly overhead and expense, instead putting time, talent and resources directly to work for the client. Sherman Silverstein is the ideal midsize law firm—18 attorneys—most of whom at some point in time prospered at large law firms in the Northeast, but found that practicing law was more rewarding with 100% of a firm’s focus and effort going toward a more select client base. It is those shareholders that are on top of, and interacting with the client on a daily basis. A strong team of associates, paralegals and administrative staff provide outstanding support and excellent service to its clients. Over the years, Sherman Silverstein's New Jersey business lawyers have developed a reputation for their ability to deliver results and respond to clients with effective and efficient approaches to their legal needs. Many of today’s clients are second and third generation business owners and their families. The Firm’s continued growth relies on its ability to retain clients by delivering the best results possible at a reasonable cost. with today’s firm leadership, finding the time to give back is another of Sherman Silverstein’s cornerstones of success. In today’s economic and business climate, clients are seeking an established law firm with niche expertise and superior resources that can deliver the necessary results at a fair and equitable cost. Sherman Silverstein is your answer. Alan Milstein, Chairman of the Firm's Litigation Department, authored the chapter entitled "The Role of Bioethics in Sports Law"